In honor of his long and distinguished career as a public servant and pillar of the community, the Walter Rand Institute for Public Affairs is honoring the Honorable Governor James J. Florio as its Public Sector South Jerseyan of the Year. Governor James Florio is a Founding Partner of Florio, Perrucci, Steinhardt & Fader and is Chairman of the firm’s energy, environmental law, government and regulatory affairs and healthcare law groups. 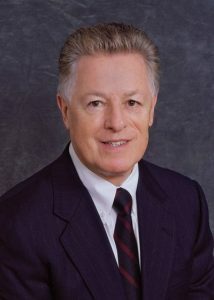 Governor Florio is a Senior Fellow for Public Policy and Administration at the Edward J. Bloustein Graduate School of Public Policy at Rutgers University. He also served as Chairman of the Board of Directors of the Federal Home Loan Bank New York, as Chairman of The Pinelands Commission in New Jersey, and on the Board of Directors of NJ Future. Governor Florio was the founder and CEO of XSPAND, an asset management company. Currently, Governor Florio serves on the Board of Directors of the NJ Health Care Quality Institute, is Co-Chairman of the Regional Plan Association’s New Jersey Committee, and a member of the Board of Trustees of The Fund for New Jersey. Governor Florio entered public service in 1969 serving three terms in the New Jersey General Assembly. He served as the 49th Governor of the State of New Jersey from 1990 through 1994 and in the United States House of Representatives from the 1st Congressional District from 1974 – 1990. As Governor of New Jersey, his accomplishments included, among many others, signing into law the nation’s toughest assault weapons ban, the Clean Water Enforcement Act, the Quality Education Act, and sponsoring the Access to the Regions Core Program for mass transit. As a Member of Congress, his accomplishments include, among many others, authoring the “Superfund” law, involvement in virtually every major piece of federal environmental legislation, cosponsoring the Exxon-Florio Amendment, involvement with every piece of railroad legislation passed during his tenure, and serving on the U. S. Secretary of Energy’s Advisory Board. Governor Florio graduated from Rutgers-Camden School of Law in 1967, holds numerous honorary degrees, and was the 1993 recipient of the “Profile in Courage Award” by the John F. Kennedy Library Foundation. He served four years of active duty in the U.S. Navy, 8 years in the Active Naval Reserve, and retired with the rank of Lieutenant Commander in 1975. Page last updated by Senator Walter Rand Institute for Public Affairs at 10:51 am April 25, 2018 . This page was printed from http://rand.camden.rutgers.edu/2018/03/29/jack-tarditi-named-2018-south-jerseyan-of-the-year/ at 4:06 PM Monday, April 22, 2019.